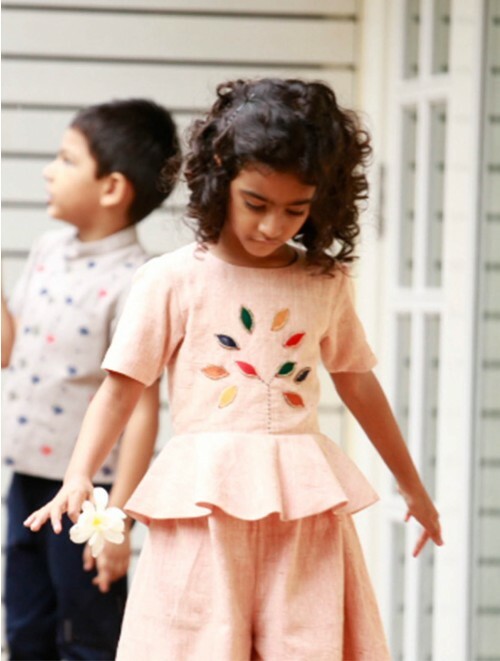 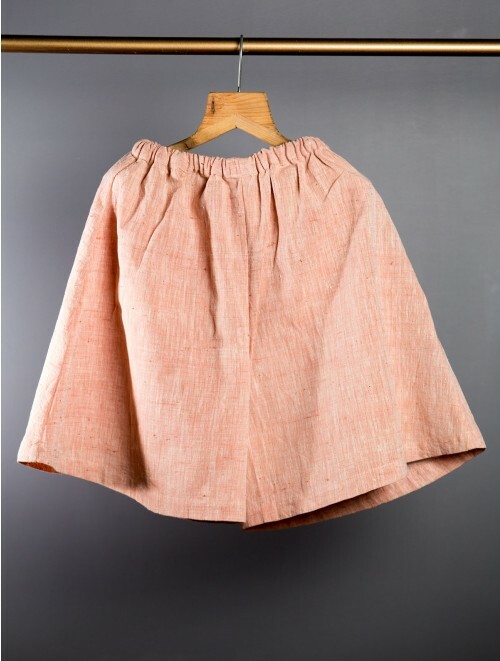 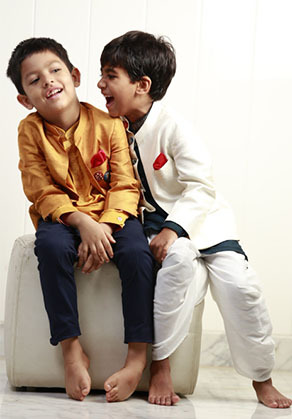 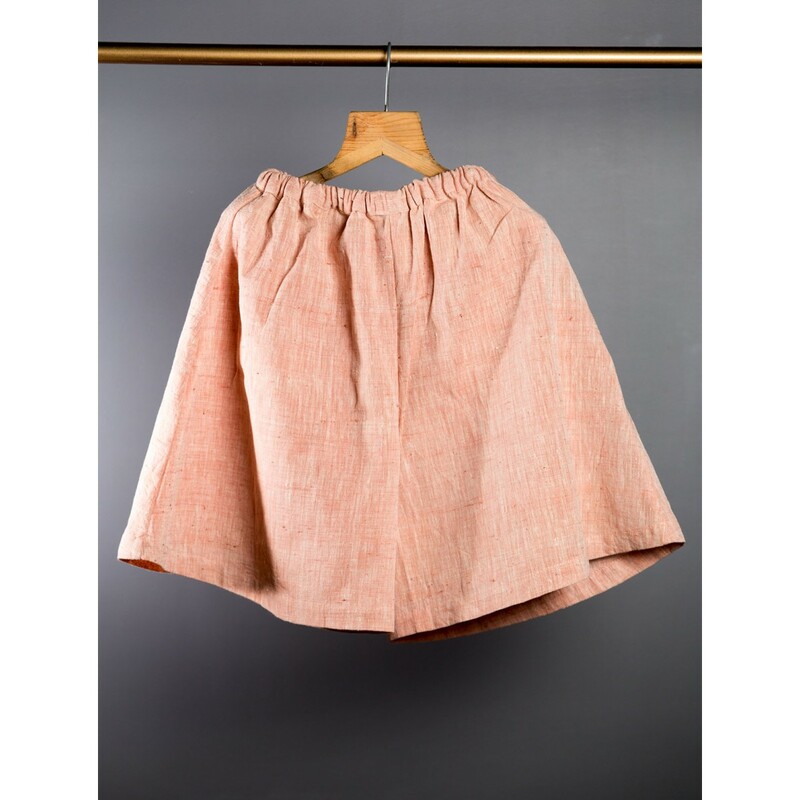 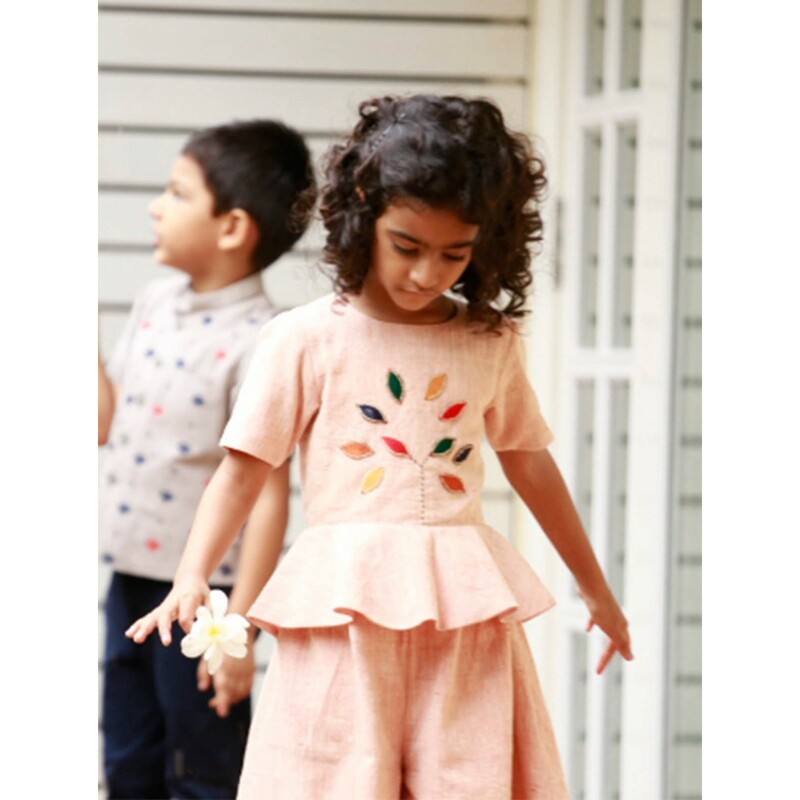 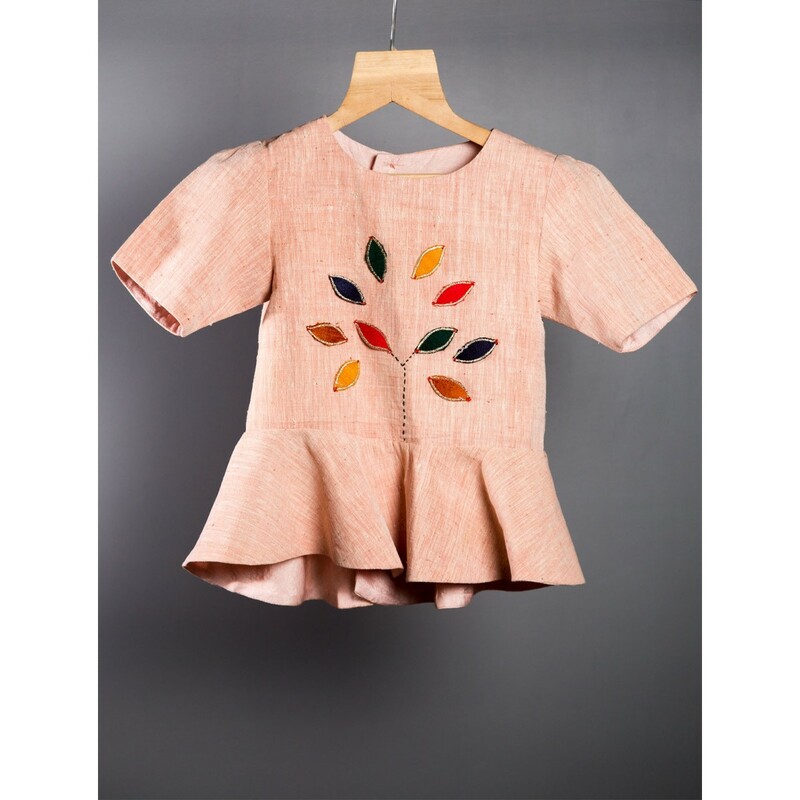 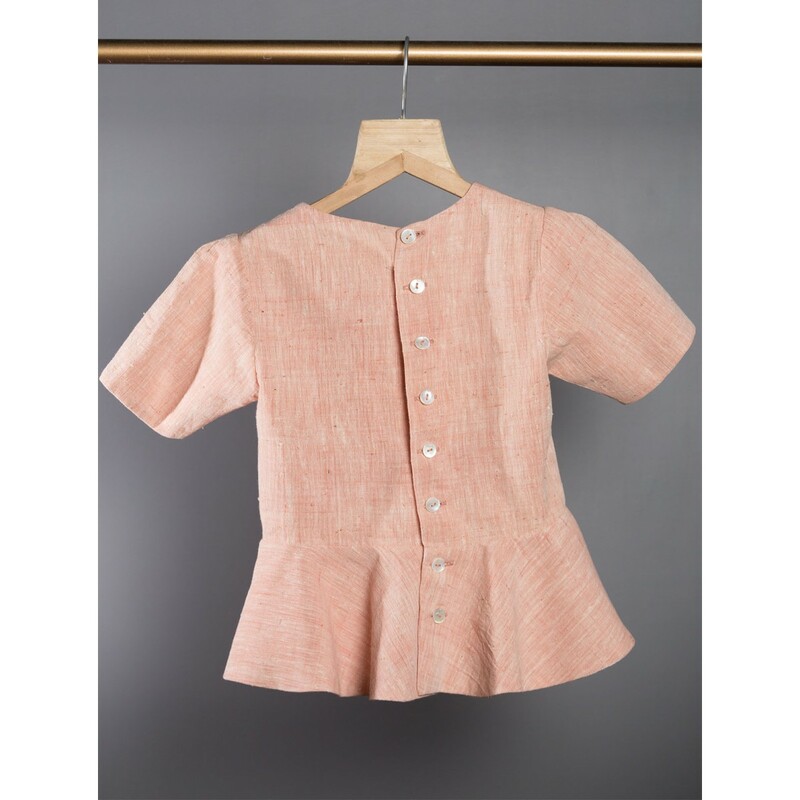 This playet is a combination of peplum top and a divided skirt in handloom cotton in soft peach. 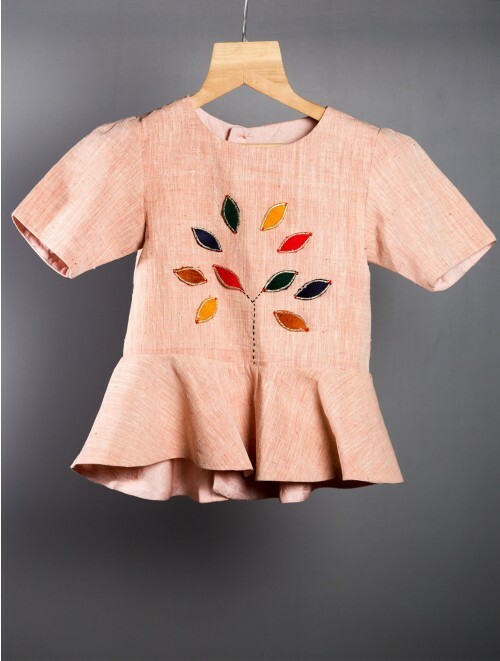 The top has khela's beautiful 'tree of life' applique detail. 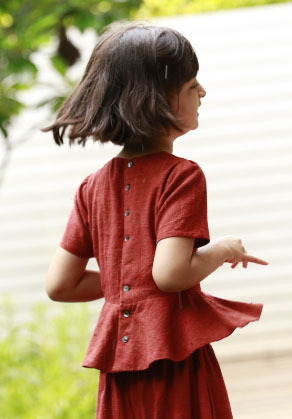 This is a versatile outfit for a little girl. 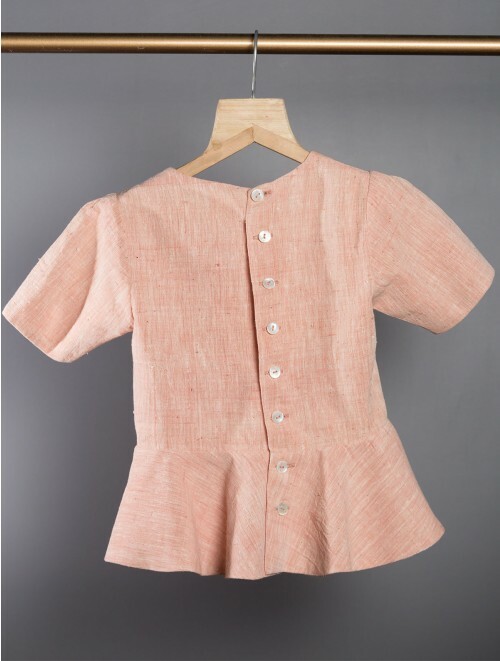 It looks good for a sit down dinner, a party, a playdate or even wedding ceremony.